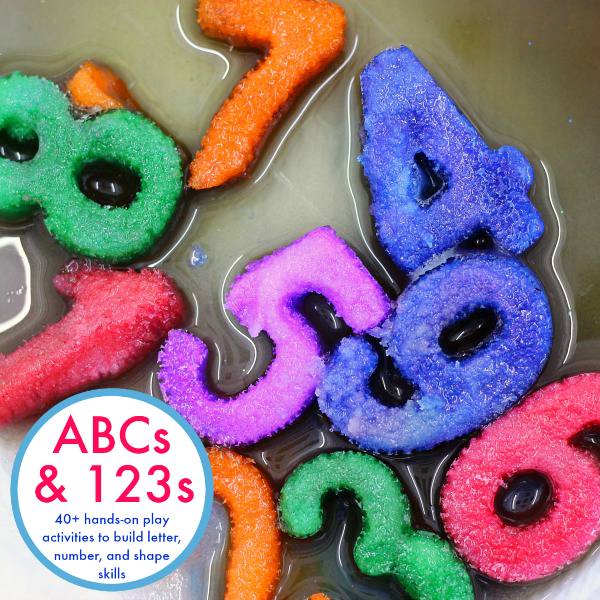 About a month ago, I told you all about N’s super simple Bathtub Art and Introduction to Letters activity. 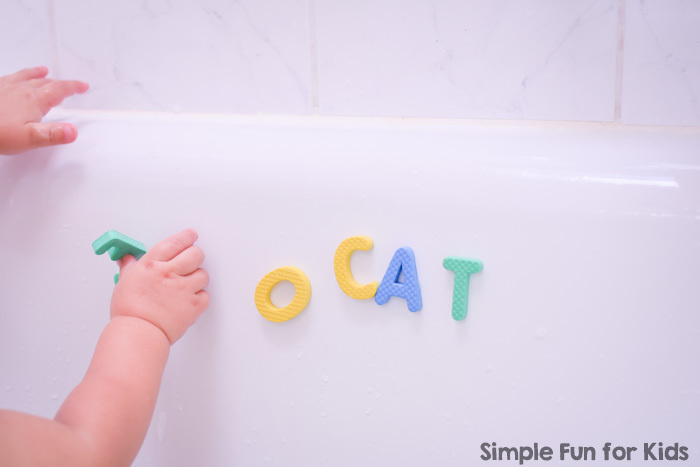 Doing bathtub activities is really making a difference in his willingness to get in the bathtub every day, and he currently just loves playing with letters and listening to me talk about them. 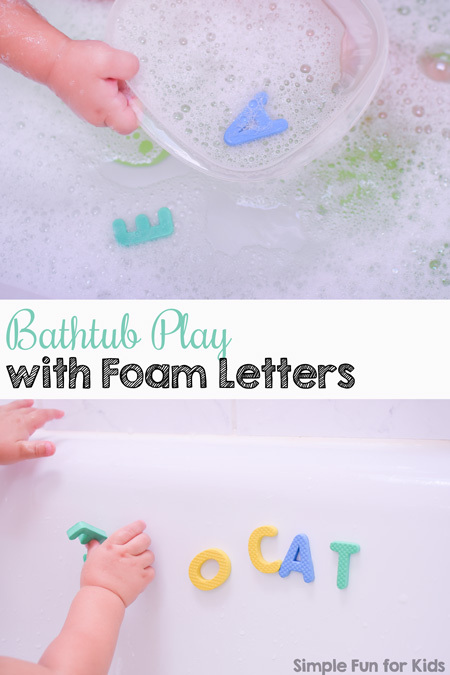 This Bathtub Play with Foam Letters was clearly right up his alley! Bubble bath (optional but fun). 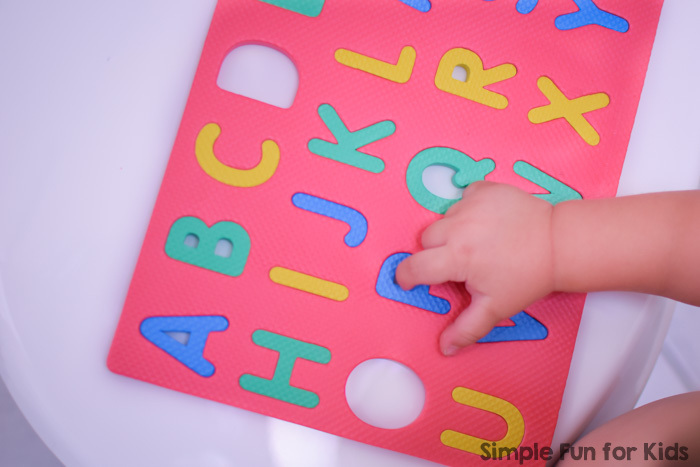 Once again, this is a super simple activity that you can set up in seconds. 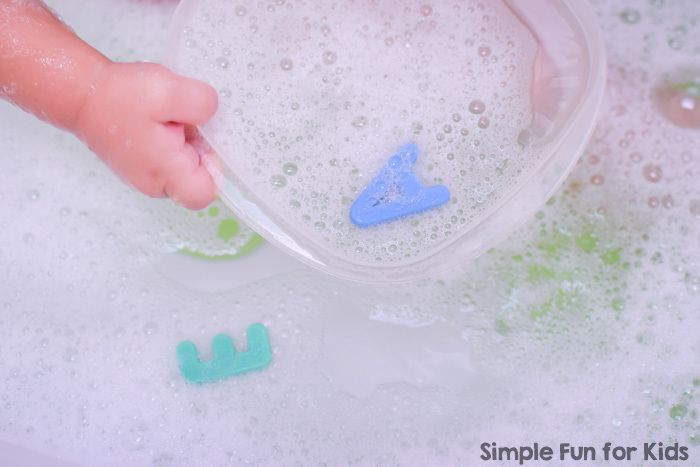 N couldn’t wait until he got into the bathtub before he started pulling the letters from the puzzle. before holding it up for me to tell him the letter name and sound. Next, I encouraged him to fish the letters out of the water with a bowl. Again, we talked about whatever letters he ended up with. The best part, though, came when he realized that he could stick the letters to the side of the tub. He LOVED this. Oh, and when we were done, N insisted on putting the letters back into the puzzle. Under water!